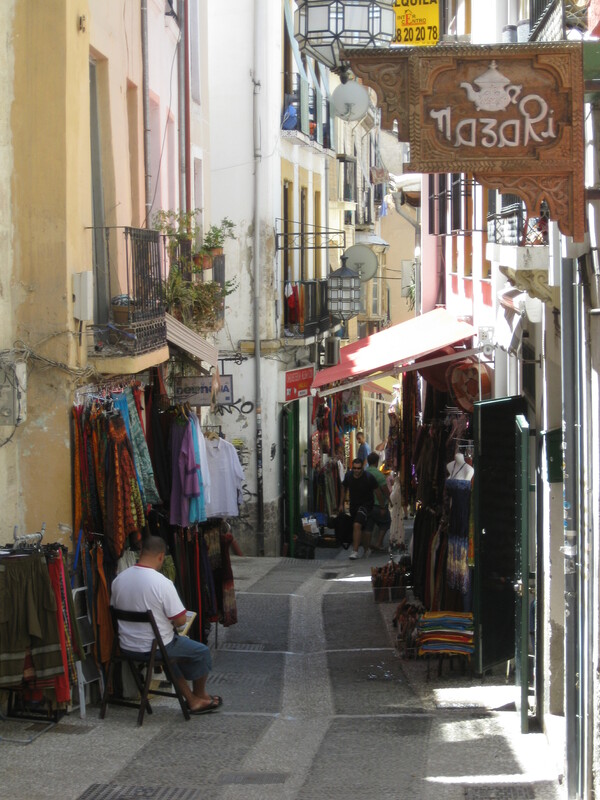 All of my international home exchanges have been wonderful, but if I had to pick one of my favorites, it would actually be my first exchange in Andalucía in Southern Spain. 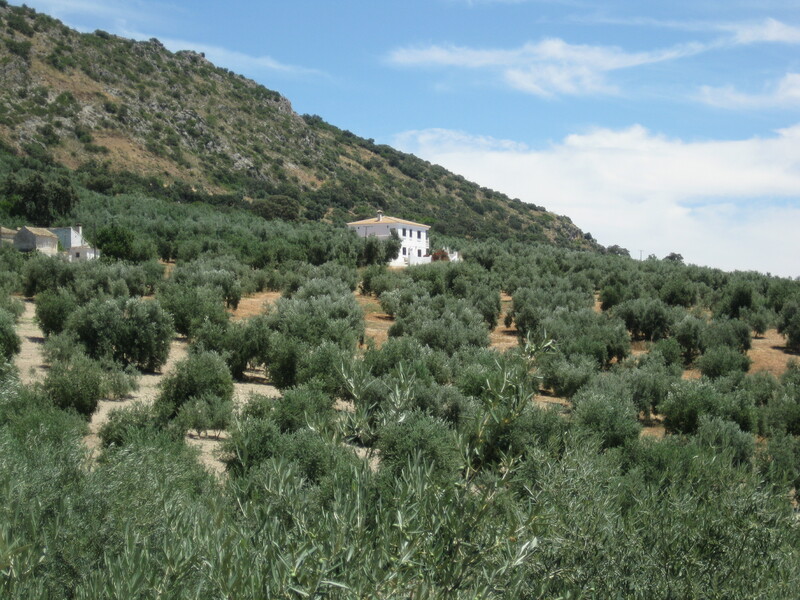 There are so many reasons why this exchange was exceptional, starting with the wonderful Spanish style casa that we got to live in for ten days and which was set among an ancient olive grove in the mountains. It was really a remarkable place. 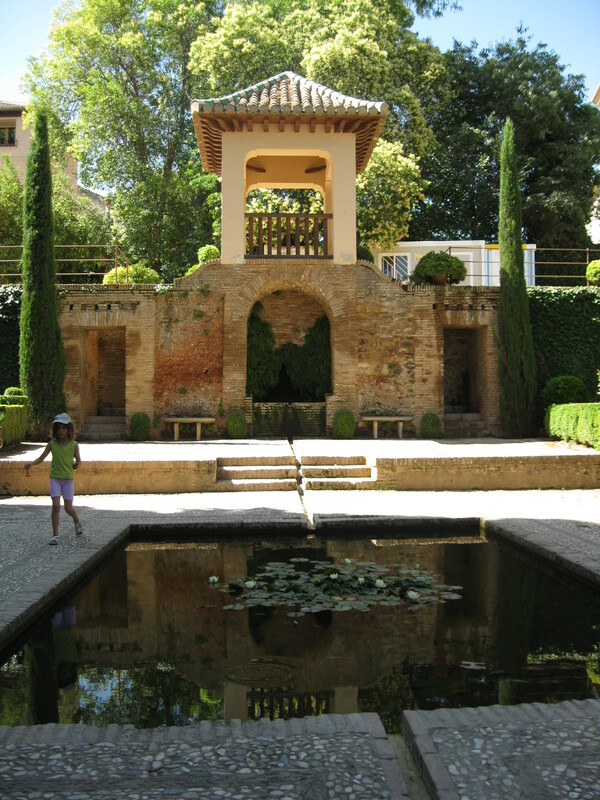 But this exchange also afforded me the perfect opportunity to revisit a place that I had been to over a decade before and had never forgotten, The Alhambre Palace and Generalife Gardens in Grenada, Spain. Simply put, this place is my nirvana. I loved it in 1992 and fell deeper in love with it in on this trip in 2009. If I could spend the day anywhere in the world, for just one day, this would be my choice. Why is it so special to me. Simply put, it takes my breath away. The Palace with it’s exquisitely carved Moorish architecture is pretty spectacular all by itself, but coupled with it’s breathtaking gardens, fountains, and expansive views of the ancient city of Grenada, it is enough to make me swoon. Sorry if that sounds overly dramatic, but I am really passionate about this place! Every step or turn you take, produces another beautiful sight. When I’m there I can’t help but want to capture every inch of it in my memory, and because I have a lousy memory, also with my camera! I want desperately to return again, for longer, even though I’ve already been there twice. What I’d really like to do is pack a bag and go live in the Palace, or better yet, in the garden. 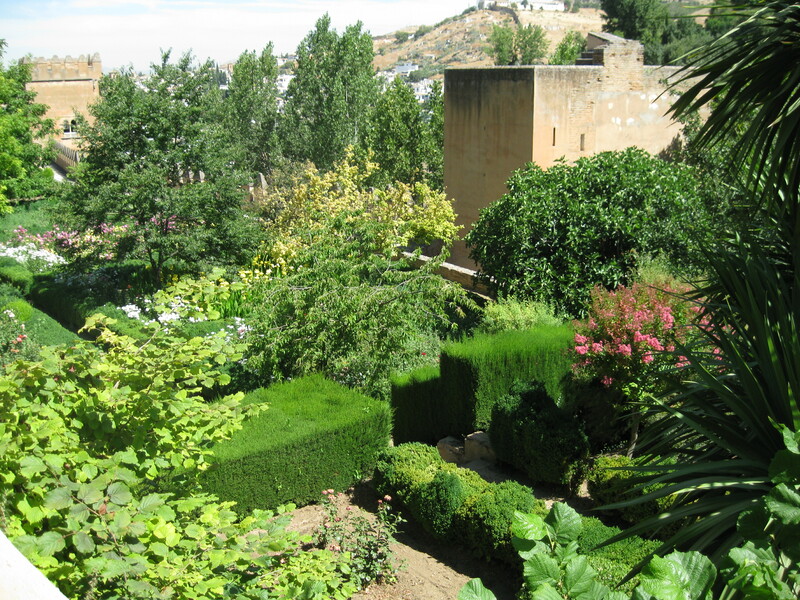 Beyond the Alhambra and Generalife Gardens, the city of Granada’s ancient neighborhoods called the Albayzin and Alcazaba are an added bonus, both are exotic and entrancing. I love to walk through them by day, stopping in the tiny shops and eating in it’s incredibly quaint squares, almost as much as I like strolling through these neighborhoods at night when they are romantically lit. It’s just magical. 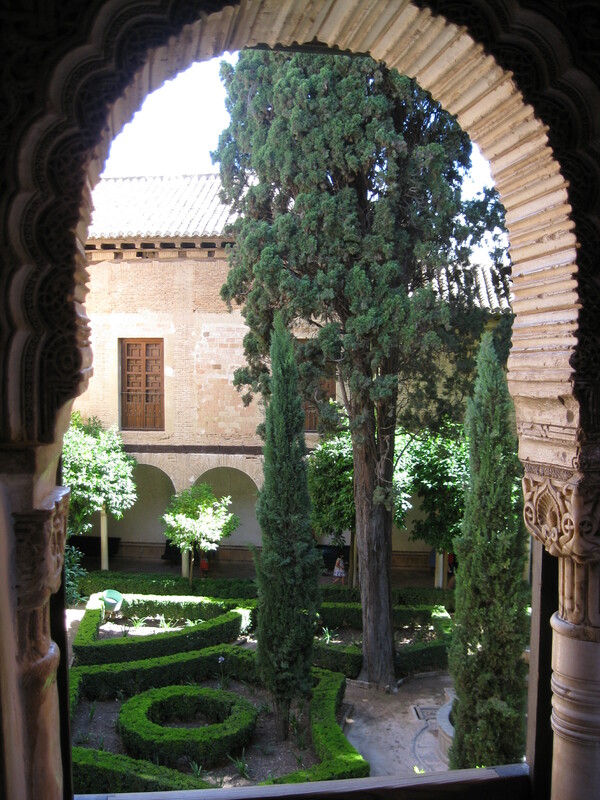 If you would like to see more of my Alhambra photos, check out my family travel album. I highly recommend getting a wordpress account. It’s a great platform! once again siknce i have book-marked it. Money and freedom is the best wayy too change, may youu be rich and continue to guide others. I’m so happy you like it. Thanks for commenting. What a great idea to stay in Grenada. I visited for the day and it was far too rushed. I’d read a book about it before I went, with all the romantic tales, but in the heat of midday, with the crowds, I never got to truly experience it. Next time I’ll do it right. I took my flabby thighs (ha ha) there in 1992 and again in 2009. Yes, it needs to be seen in a more relaxed manner; as are most places in my opinion anyway. Hi Travis, thanks so much for commenting. I know it’s not an up and coming hot spot; but nevertheless, it’s one of my favorites! It’s one of those places that I want to visit over and over. I totally understand wanting to go back. I’ve seen some photos from Night Visits…I definitely want to do that! Travis, you are right. You have reminded of one of the many reasons I have to go back; I haven’t visited the Alhambra at night yet! On our last trip to Spain, we lived in a home exchange for two weeks about an hour and a half from Grenada. 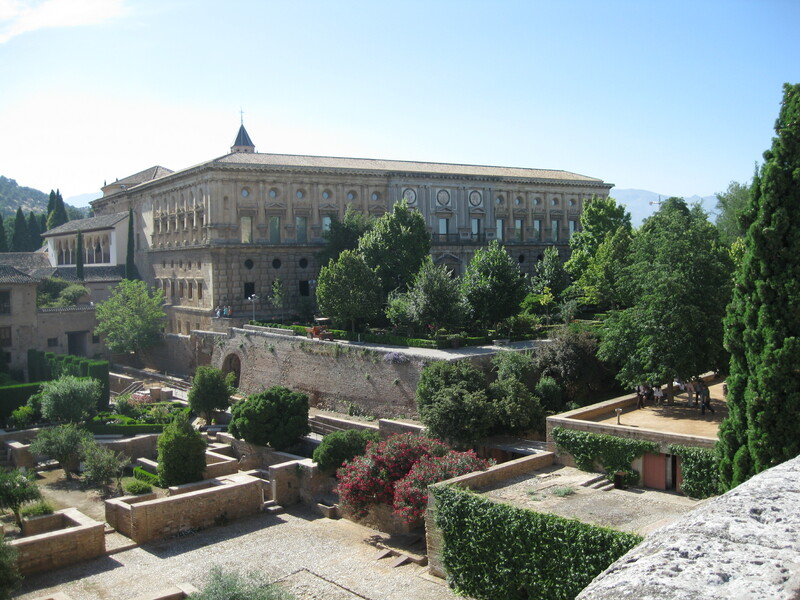 So, we decided to spend one night in a hotel there to see the city and the Alhambra. We really regretted not spending at least two nights there. Obviously, that was a budgetary decision. Next time, I have to give this city more time; we felt much too rushed there. We’d also love to go to a Flamenco show in one of the caves in the Alcazaba neighborhood. We did not get to do that either. I’m actually tempted to get a home exchange in or nearer to this favorite city of mine, so I can really enjoy its many cultural attributes!